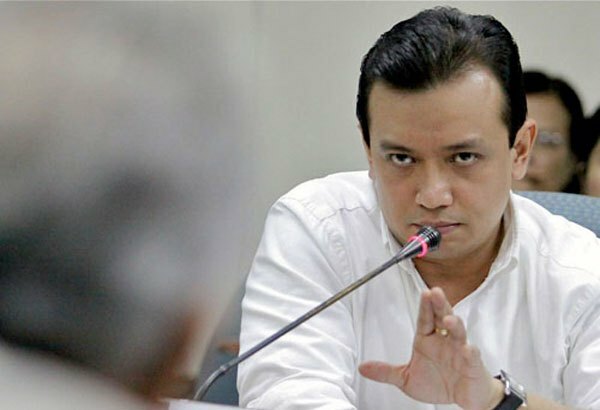 According to Sen. Antonio Trillanes IV, the public should be informed about the possible pitfalls of having a federal government before they are asked to support the proposal, which is a major advocacy of President-elect Rodrigo Duterte. Trillanes, a critic of Duterte, does not believe that the country should shift to federalism, which the incoming leader has said was necessary to spur economic growth to the country’s remote parts. In his statement yesterday (17 June 2016), Trillanes said that “Before we ride this federalism bandwagon, the public should first be informed of its serious downsides given the Philippine context of the prevalence of political warlordism,”. Under a federal government, the power would be shared between the national government and the states. But critics of the proposal have warned that this could strengthen the hold of dynasties in certain regions or provinces. But Trillanes said federalism would not necessarily be good for the country, and may lead to certain states breaking away. In a recent forum, Trillanes said that “We have yet to attain that sense of nation. We don’t have national unity, and geographically, we are separated by islands. So it would be easy for a federal state that has gotten stronger to break away from the country later on,”. President-elect Rodrigo Duterte and his allies are pushing for charter change in order to pave the way for a shift to federalism, through constitutional convention. This means elected delegates would be in charge of drafting a new constitution that would later have to be ratified in a plebiscite. In Davao City, a group of pro-Duterte lawyers has started a movement to craft three federalism models. Aristeo Albay of the Kilusang Pederalismo Para sa Pilipino . He said the group has held its first discussions, which included Femie Calderon, formerly of the National Economic Development Authority in southern Mindanao; Corazon May Baylon from the academe, and Chito Gavino, a known federalism advocate. A second round of discussions is slated next week.